Halmurat Idris holds up a picture of his elder sister, Aug. 24, 2018, at his home in Istanbul, Turkey. 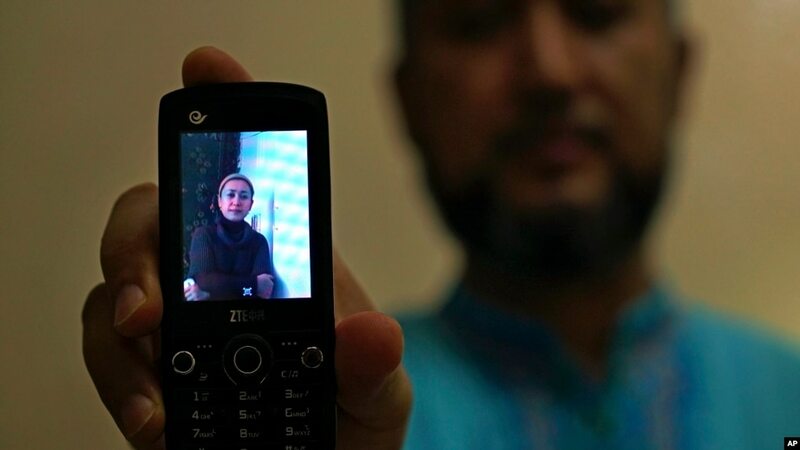 Idris says his sisters were monitored as part of a government homestay program, part of a broader crackdown on religious expression in China’s far western region of Xinjiang. 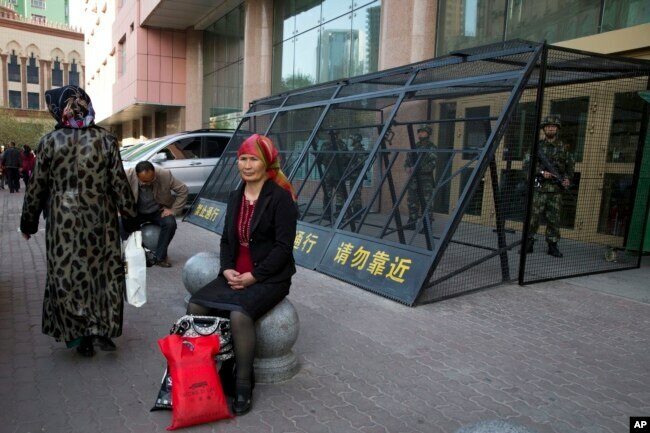 FILE – An Uighur woman rests near a cage protecting heavily armed Chinese paramilitary policemen on duty in Urumqi in China’s northwestern region of Xinjiang, May 1, 2014. Uighur homeland has been blanketed with stifling surveillance, from armed checkpoints on street corners to facial-recognition-equipped CCTV cameras steadily surveying passers-by. 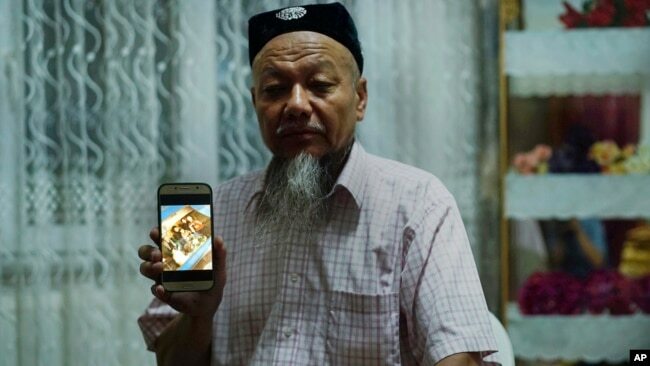 Ablikim Abliz holds up his phone with a photo of his uncle’s family with an unknown Han Chinese man in Istanbul, Turkey, Aug. 22, 2018. He later heard that his uncle’s front door was boarded up and sealed with police tape, and has not been able to contact him since.